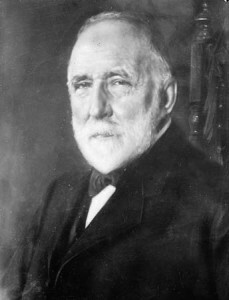 Born in Germany, Weyerhaeuser immigrated to the United States when he was 18. He worked in an Illinois sawmill, which he purchased after its owner was wiped out in the financial panic of 1857. From this beginning, Weyerhaeuser built an empire of lumber forests (some two million acres), sawmills, paper mills, and other wood-products processing facilities.